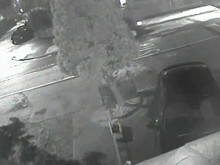 Detectives investigating the murder of 68-year-old Nikolay Glushkov in New Malden in March have released CCTV footage and images of a black van they would like to identify, to assist with the investigation. 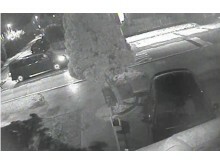 The Volkswagen van was seen in and around Clarence Avenue in New Malden between 19:30hrs and 22:30hrs on Sunday, 11 March. Detectives are keen to identify the van and driver, who they believe could have information that may help with their enquiries. Since the investigation was launched, detectives have been pursuing several lines of enquiry in order to identify the vehicle and its driver. To further assist the investigation, detectives are now requesting the assistance of the public. Anyone with information about the van or driver can call police in confidence on 0800 789 321 or contact Crimestoppers anonymously on 0800 555 111. Police were called by the London Ambulance Service at 22:46hrs on Monday, 12 March, after Mr Glushkov was found dead at his home on Clarence Avenue. A murder investigation was subsequently launched on Friday, 16 March following a post-mortem examination, which gave the cause of death as compression to the neck. From the outset, the investigation has been led by officers from the Met’s Counter Terrorism Command and, as a precaution, the Command is retaining primacy for the investigation because of the associations Mr Glushkov is believed to have had. Mr Glushkov, a retired financial director, was a Russian national who had lived at that address for two years. Detectives have obtained a total of 286 witness statements, and 159 witness questionnaires have been completed. Detectives working on this investigation have also seized 1,086 exhibits to date. At this stage, there is nothing to suggest any link to the attempted murders in Salisbury, nor any evidence that he was poisoned. There are no wider public health concerns in relation to this investigation. Detectives are still appealing for anyone with information that could assist the investigation into Mr Glushkov’s murder to contact them in confidence on 0800 789 321.